Falling under the green housekeeping tip of the week . 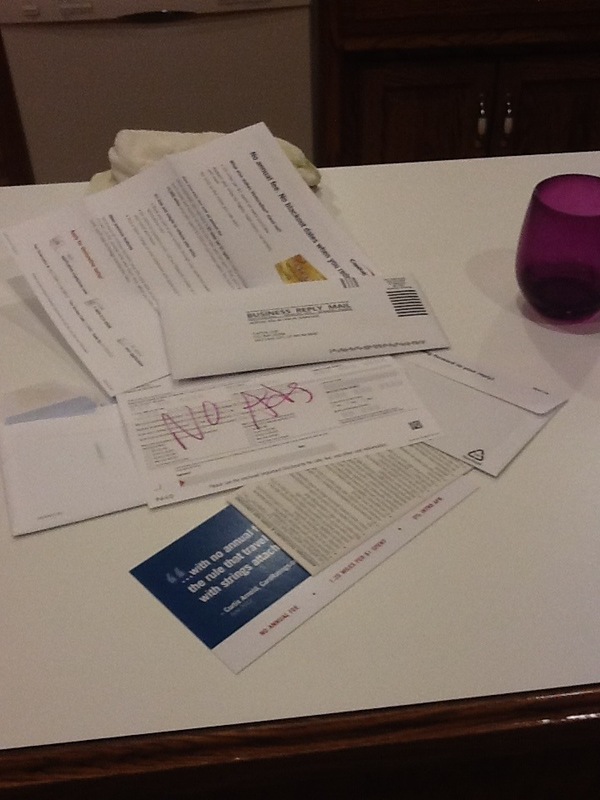 . .
Why recycle paper when you can send the junk mail back to sender. Just saying. They even graciously pay to dispose. Fold and shove every thin you can into that darn little envelope. All that confidential info must be properly disposed of. This entry was posted in General Mayhem and tagged advertisements, credit cards, debt free, Junk mail by julia. Bookmark the permalink.